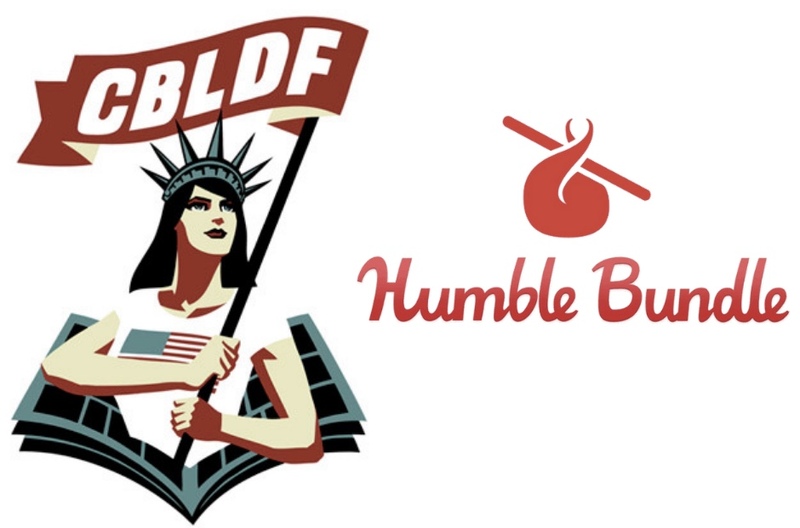 Comic Book Legal Defense Fund Named Humble Bundle Featured Charity for February! February 4, 2019 – Comic Book Legal Defense Fund has been named as the Featured Charity for February at Humble Bundle, allowing fans of comics, books, and video games to contribute to make an impact for CBLDF’s important work protecting the freedom to read! Humble Bundle sells a variety of digital content, raising money for charity with every type of product sold. This month, CBLDF will be featured alongside their bundles for fans of gaming, books, and comics! Humble Bundle’s mission is to raise funds for charity through everything it sells. Founded in 2010, the company began by offering game ‘bundles’- groupings of products at great prices – and have branched out to include ebooks, a monthly subscription service, an online storefront, and more. Customers purchasing a bundle can name their price and decide how to allocate their payment between the creators, Humble Bundle and charity. Humble Bundle’s community had contributed an incredible US $143 million to charity. Comic Book Legal Defense Fund is a non-profit organization protecting the freedom to read comics! Our work protects readers, creators, librarians, retailers, publishers, and educators who face the threat of censorship. We monitor legislation and challenge laws that would limit the First Amendment. We create resources that promote understanding of comics and the rights our community is guaranteed. Every day we publish news and information about censorship events as they happen. We are partners in the Kids’ Right to Read Project and Banned Books Week. Our expert legal team is available at a moment’s notice to respond to First Amendment emergencies. CBLDF is a lean organization that works hard to protect the rights on which our community depends. To learn more about CBLDF, please visit: www.cbldf.org! Humble Bundle sells games, ebooks, software, and other digital content through pay-what-you-want bundle promotions, the Humble Store, and the Humble Monthly curated subscription service. When buying a bundle, customers not only choose how much to pay, but also how their payment is divided between the content creators, charity, and Humble Bundle. Purchases from the Humble Store and subscriptions to Humble Monthly also help support charity. In 2017, Humble Bundle announced the launch of a multi-platform funding and creative initiative to publish games “Presented by Humble Bundle.” Since the company’s launch in 2010, Humble Bundle and its community have raised more than $143 million for a wide range of charities across the world. To see more, visit https://www.humblebundle.com. To support Comic Book Legal Defense Fund this February, you can check out Humble Bundle, our Reward Zone, or join CBLDF as a member! To keep up with promotions that support the fight for free expression, make sure you’re signed up for our weekly newsletter!